A few weeks ago, I pleaded for help with my occasional writer�s block, asking readers for ideas on topics that we may later discuss here. Your response � always a welcomed part of my day � was more than I expected, sent in as notes and feedback on BassFan, as well as through my Millennium Promotions social channels. For starters, thanks for the effort. It�s nice to know that our time together is valuable and discussion of key points really means something to readers. I thought I�d let you in on a few of the most popular ideas and offer my two cents where it applies. As usual, although I�m occasionally in favor of one side of an issue, I�ll do my best to explore several. Not surprisingly, the effect of tournaments on the overall bass population brought the strongest response to my call to arms. Since the inception of organized fishing, those both participating and watching have concerned themselves with issues like stockpiling, delayed mortality and bed-fishing when the big derbies come to town. Today, research is being conducted more than ever to determine the real impact gigantic fishing efforts have on a given lake. It�s been proven that the weigh-in line can be a death sentence for bass in the bags and studies have shown that released fish are often harvested at catastrophic rates by shoreline fishermen. Add to it a growing resentment toward springtime spawning derbies, often viewed as responsible for wiping entire generations of fish off the map. It should be noted that many of you credited the new format adopted by Major League Fishing � that of catch and immediate release � as a possible resolution for some or all of these problems. Conversely, consider the viewpoint of many fisheries managers: none of the factors mentioned are likely responsible for the overall size of the bass population. While we can�t offer a blanket statement to cover all reported research, it�s been suggested that nature�s own environmental factors are most at play for the number of bass in the lake, and man�s erroneous ways are simply taken into account with more successful spawns. Are we, then, worried over nothing? For a solution, we may need to challenge tournament principles. Another hot topic is always aquatic plant management � affectionately termed �spraying." My latest Facebook responders again didn�t disappoint at the seemingly �out of control� treatment occurring all over the country, most notably in fisheries throughout Florida. Here, we�ll first consider the environmental and political factors requiring the use of herbicides. First off, it�s important to note that the majority of such control is done to treat exotic or invasive species. Remember, folks, our fisheries didn�t sign up for hydrilla, water hyacinth or Eurasian milfoil. Instead, nearly all of the most aggressively treated �weeds� were introduced from a non-regulated aquarium trade. Exotic and invasive species are incredibly aggressive, quickly crowd out native plants and can overtake entire bodies of water in rapid time, often leading to catastrophic fish kills. In order to effectively control these plants, regular herbicide treatment is often the only cost-effective measure. In addition, resource managers and government officials must consider all users in their approach. Sometimes that leans toward fishermen, other times it�s jet-skiers and paddle-boarders, or even commercial traffic. What�s fair is fair. Unfortunately, however, aquatic plant spraying is often overdone as a means of policy, rather than using a case-by-case approach. I, like many others in Florida, have watched spray boats senselessly blast away on lakes that have never seen a jet-ski or commercial barge, and never will. The end result is a cloudy cesspool incapable of ever going back its native grasses. In addition, resource managers are often dishonest in their general report on the effects of spraying, claiming it�s not responsible for additional muck accumulations on the lake floor � a notion that is simply untrue. Personally, I have seen the best solution in place: regular mechanical harvest of aquatic weeds with periodic spot treatment using herbicides. However, such is simply not cost effective for large bodies of water. Unless we challenged funding principles. Finally, an overwhelming number of readers came to me with a surprising topic � one to which I alluded in previous columns, but assumed I was alone in concern. Again, with the increasing attention given to Major League Fishing, consideration is given to the demise of the blast-off and weigh-in, as well as the league�s original inclusion of smaller outboard motors. Readers want to know: Will the fanbase, as well as bass boat manufacturers, take notice and again bring more moderate outboards back into circulation? Will we see a day when we can break away from the 250? Here it may be difficult for me to see both sides, but I�ll try to keep a straight face. 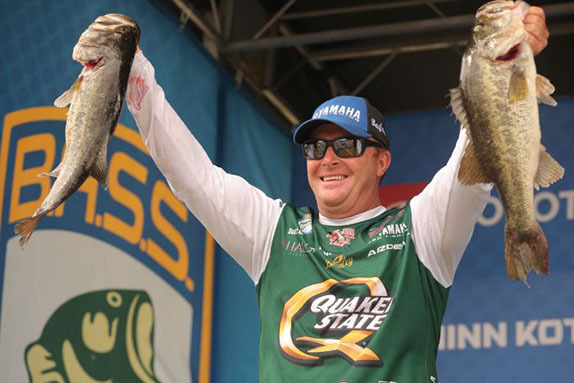 Without question, professional bass tournaments have been the driving force in the innovation of today�s outboard engine, and adaption from the gas-guzzling, smoking and coughing two-stroke beast of the '80s to the quiet-as-a-kitten, clean machine of today. Most recently, four-stroke models have brought us light years ahead of where we were recently � cleaner, faster and more efficient. 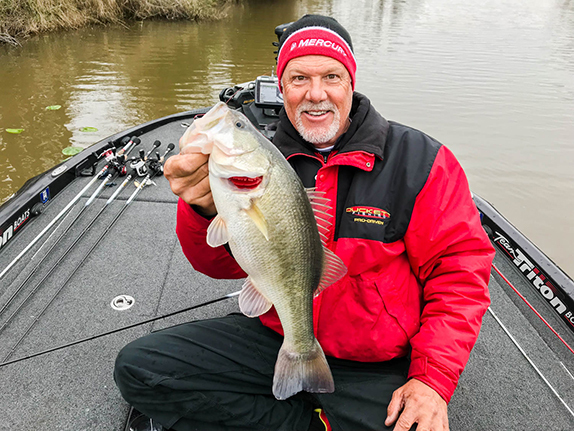 The competitive side of things, however, has created a perceived need for equipment far beyond what is required to catch bass, and the giant outboard may be the best example. 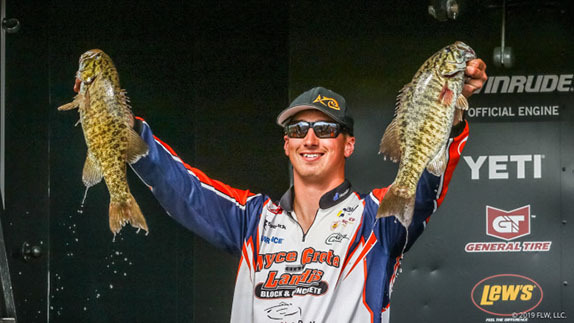 For things to start getting back to reality, and the cost of high-performance bass boats to back away from the six-figure threshold, the industry will have to again put horsepower limits on bass tournaments. Here, it will be the overall mentality of the manufacturers that will be the toughest nut to crack. Unless we challenge the industry. Often, I wonder what it would be like if we had a new, unified bass fishing front � another idea conceived from our feedback. For now, must we begin to face these challenges alone?